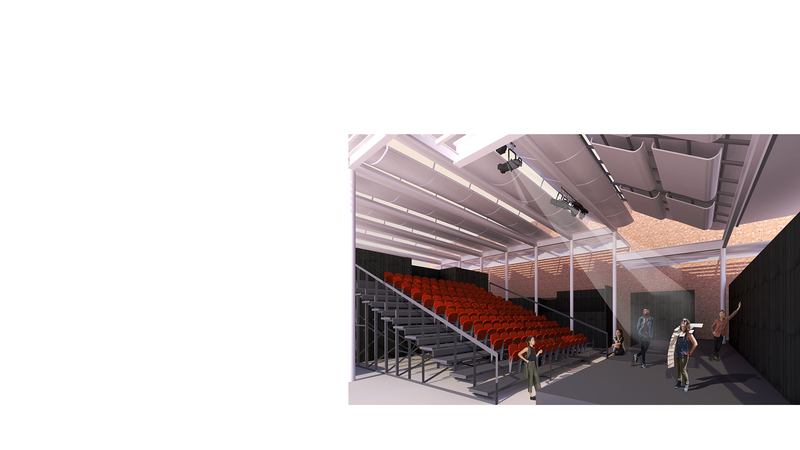 Keith Williams Architects’ proposals for a new 160 seat temporary theatre on a site adjoining the Wolverhampton Grand Theatre on Lichfield Street in the city centre were approved by the City Council in March 2019 paving the way for the project to proceed. Wolverhampton Grand Theatre by the architect charles phipps (1835-1897) first opened in 1894 and is the city’s principal theatre. The Grand was one of the architect’s last commissions and contains a magnificent 3 tiered main auditorium with an original capacity of 2,000 since reconfigured to its current capacity of 1200 seats. 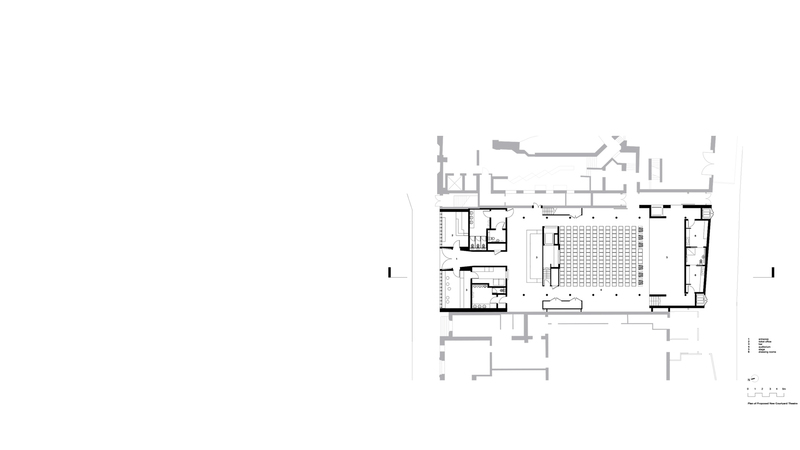 Williams’ proposals on an adjoining site currently occupied by a long redundant 1960s post office building, include a new adjoining studio form theatre, bars and public spaces beneath a lightweight steel framed sawtooth roof. 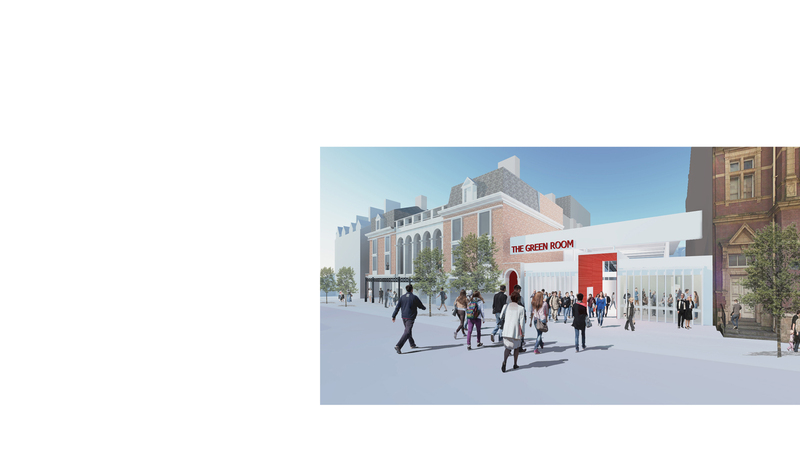 The new theatre will be inserted between the flank walls of the Grand Theatre and the listed Grand Post House (1895), the city’s former post office and sorting centre, to create a new semi-outdoor arts space in the city centre. 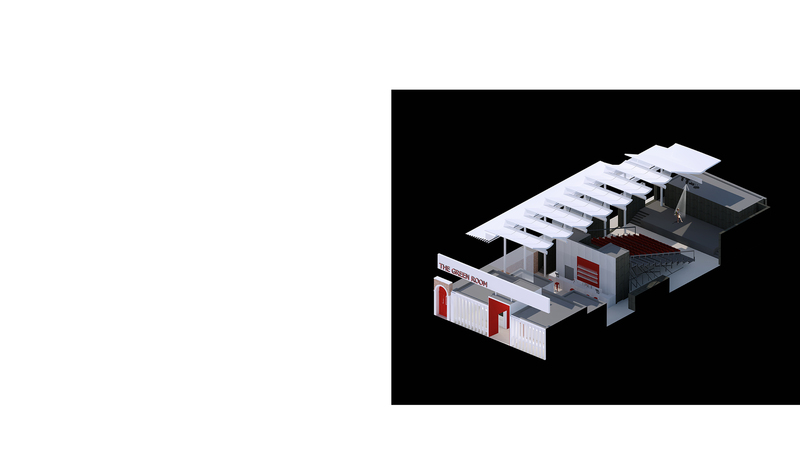 The project is intended to open up and greatly expand the Grand Theatre’s versatility and artistic programme to reach new audiences, and is the first phase of the creation of a permanent arts hub on the same site. 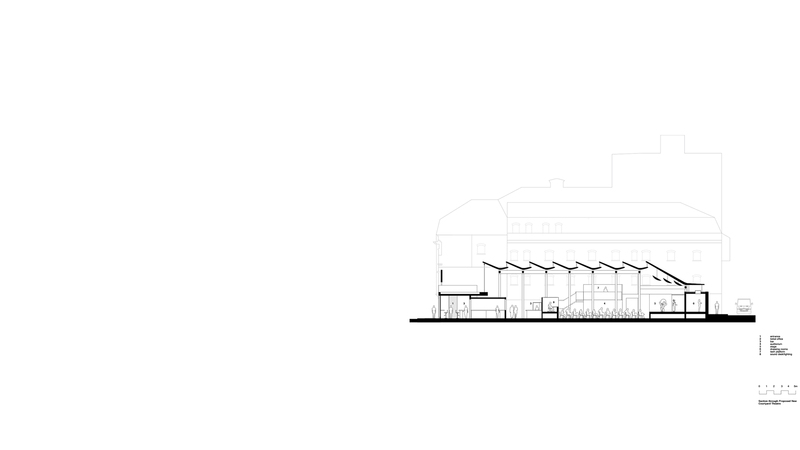 Williams’ phased masterplan for the site will eventually deliver a major new multi-level permanent cultural building linked to the Grand, which will greatly expand and enhance the nature of the city’s performing arts programme as a key element of the city centre’s Arts Hub regeneration masterplan.